Simply put – This. Is. Delicious! 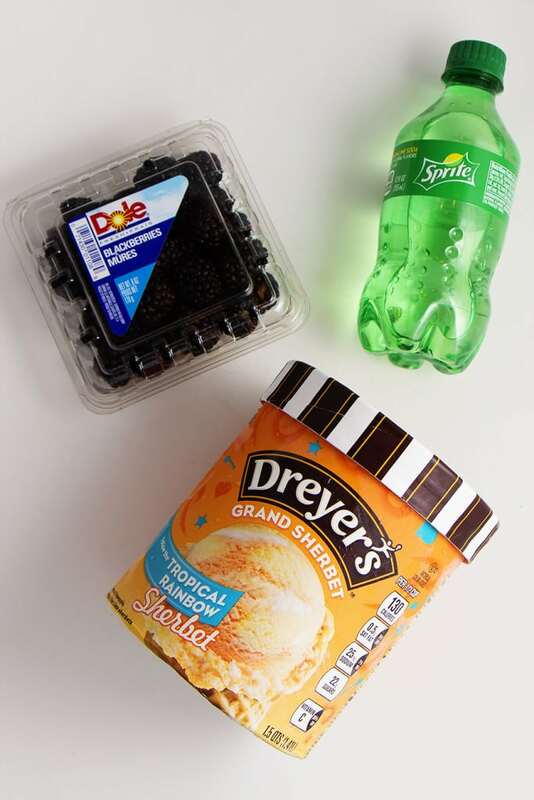 You will wish you didn’t eat so much for dinner when you try this Tropical Blackberry Float. It is refreshing, packed full of flavor and like a little tropical party right in your mouth (You just might go back for seconds). Let’s get started with the homemade blackberry syrup: Rinse the berries and place them over medium heat in a small sauce pan on the stove. Add the water and sugar and bring to a boil. Once the mixture has come to a boil, mash about half of the berries but leave some whole. Cook until sauce thickens then remove from heat to cool. In a tall glass, with the sherbet and Sprite already in it – drizzle sauce over top. Don’t let the simple step of making homemade blackberry syrup stop you from trying this. I guarantee you will thank me later and realize very quickly that it only takes a few minutes to simmer down the berries to make a wonderful thick syrup that will mix into this drink in unimaginable ways. Get ready for the party in your mouth because this is a drink that everyone will enjoy! TIP: You can switch it up a bit by using raspberry sherbert and raspberry syrup. The possibilities are endless. What combination have you tried? Let us know! Place Lemon Lime Drink in refrigerator to get cold. Will take a couple of hours to chill. In a small sauce pan over medium heat: Place Blackberries, water, and sugar and bring to a boil. After sauce begins to boil - mash about half of the berries leaving some whole and continue to simmer until sauce thickens. Remove from heat and allow to cool. 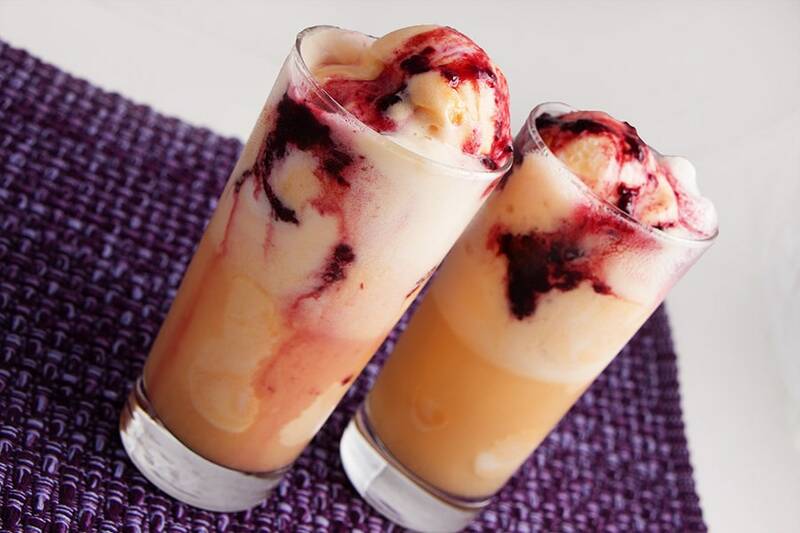 In a tall glass: place 2 scoops of Tropical Sherbert and fill the glass with Lemon Lime drink. Drizzle blackberry syrup over top and allow to cover sherbert. We will have to try this one! Looks so delicious! Please do try it out and less us know what you think! Allene, So glad the kids loved it! We love it too. I tried this dessert tonight and all the kids loved it! Thanks Aunt Rebecca Johnston!! This looks super good! Just might be the thing to cool me off when it’s over 100 degrees this weekend.